Okay, so I’ve been really busy getting ready for the Tucson Comic Con which is in two weeks. I need to fix my display and add more originals to my portfolio. In the meantime, I did make a few more coloring pages. Check ’em out! 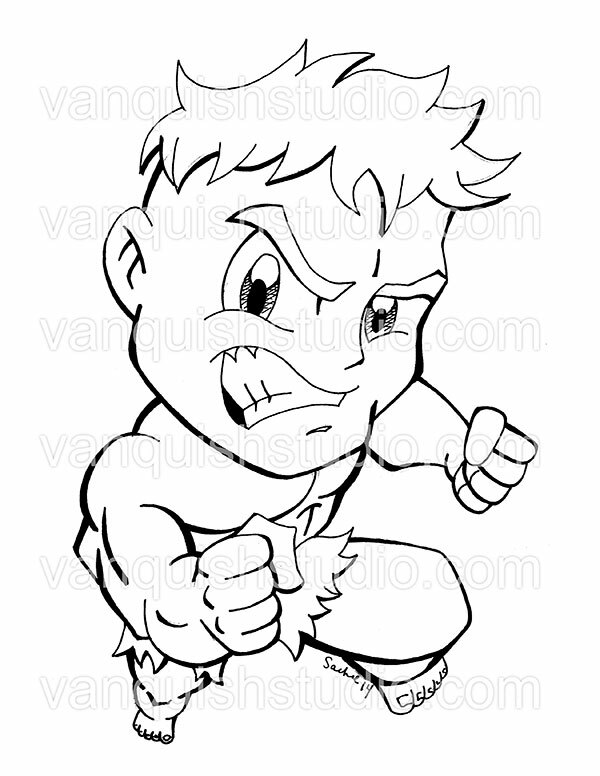 Categories: Business of Drawing | Tags: Captain America coloring page, chibi characters, chibi style, Deadpool coloring page, fusion style, Ghost Rider coloring page, Marvel characters, marvel comic characters | Permalink. Since the Tucson Comicon I’ve retired a bunch of prints. Which means I better get to work on some new stuff! So far I’ve redone the Joker as a more traditional DC comic Joker and not the Heath Ledger version. I think people will like the more comic book style version. I have his hands behind his back to hint to fact the he’s up to something. 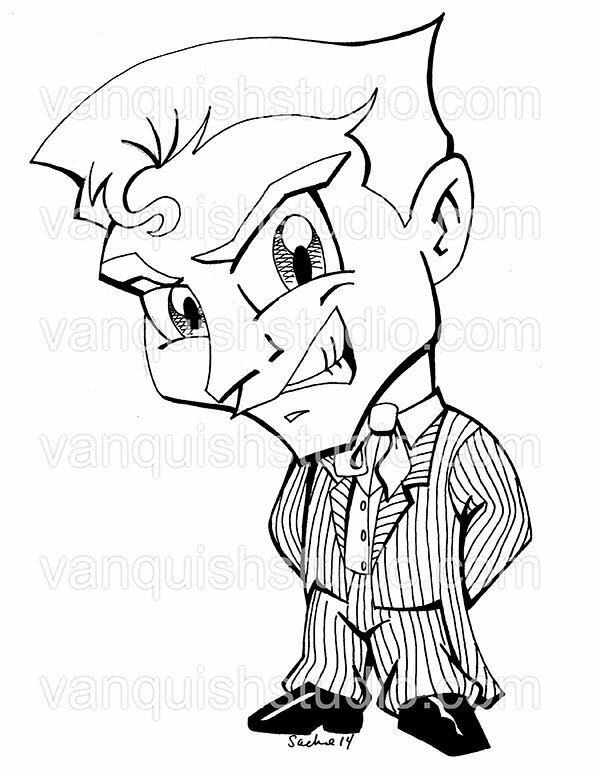 It’s hard to make a devious character like the Joker in the cute chibi style but I think it works out. I’ve also redone the Hulk. My older version was very static, he didn’t move. I just had him standing there like a mug shot. This new version is much more dynamic and has a more chibi feel to it. Categories: Uncategorized | Tags: chibi comics, chibi Hulk, chibi style, DC Comics, Hulk, Joker, Marvel Comics, Professional, the Hulk, the Joker | Permalink.